“A Temasek spokeswoman declined Friday to comment on the price the fund sold its shares for or the timing of the sale”, reported the Associated Press. Why should the secretive Temasek Holdings reveal such sensitive information to a wire agency when they will not reveal it to the real stakeholders in the government holding company, the citizens of Singapore? In 2008, Temasek Holdings (which was by then managing portfolios worth $185 billion), was asked to appear before the US House of Representatives before a joint sub-committee of the House Financial Services Committee in a hearing related to foreign government investments in the United States. Temasek Holdings then declared that, “(it) has to sell assets to raise cash for new investments and doesn’t require the government to give approvals”, mainly to assuage US concerns on transparency and non-politicization of investments. Ms. Ho Ching’s penchant for risk-taking came to the fore in July 2007 with Temasek’s roughly $6 billion investment in Barclays, taking a 2.1 percent stake in the bank. The New York Times then reported a former (unnamed) advisor to Temasek Holdings as warning that Temasek’s strategy of buying big chunks of companies exposes it to potentially deep losses if markets turn. The warning by the unnamed former advisor now certainly looks prophetic. In March 2009, the Ministry of Finance reported that the Singapore sovereign wealth fund lost $39 billion – 31 percent of its value – in just eight months. It’s portfolio shrank from $185 billion to $127 billion between March and November last year. Temasek seems to be on a roll with its losing streak; and what is even more appalling is its continuing secrecy in the face of these losses. A Temasek spokesman, who revealed that “we have divested our shares in the Bank of America”, failed to answer any other queries, including the price it got for divesting 188.8 million shares in the Bank of America. Secrecy seems to be the culture that Ms. Ho has brought with her to Temasek Holdings. Temasek Holdings lifts its cloak of secrecy partially when it is beneficial to its cause. For example, in October 2004, to satisfy the legal requirements in issuing bonds to raise money from the public, Temasek reported its accounts to the public for the first time in its 30-year history. Where is this accountability when $6.8 billion seem to have been lost in the untimely divestment from Bank of America? What is even more alarming is the fact that they would have probably kept quiet if not for the compulsory Form 13F filing to the U.S. Securities and Exchange Commission from Temasek indicating that the fund no longer held shares in Bank of America or Merrill Lynch as of 31 March 2009. In taking pre-emptive measures from the negative response such news will be unleashed from the public, Ms. Ho posted on Temasek’s website that it will now cut its holdings in the so-called OECD countries to 20 percent as it expands in Asia and emerging markets from Latin America to Africa. The question remains, even with the pre-emptive statement before the filing was made public, “even if there is a need to cut the exposure to OECD countries, why do it now, especially when you will make such huge losses?” Did not Minister Mentor Lee Kuan Yew say in February this year when explaining why Singapore was able to invest in American banks that, “When we invest, we are investing for 10, 15, 20 years. You may look as if you are making a big loss today, but you have not borrowed money to invest. You will ride the storm, the company recovers, your shares go up”? How right was Minister Mentor when he says that the investments are “your shares”? If they indeed belong to the people of Singapore, don’t they have a right to know where, when and how the funds are invested; and even more importantly what are the profits and the losses of such investments? Why the reluctance to reveal to the real shareholders the actual price the fund sold its shares of Bank of America for or the timing of the sale? 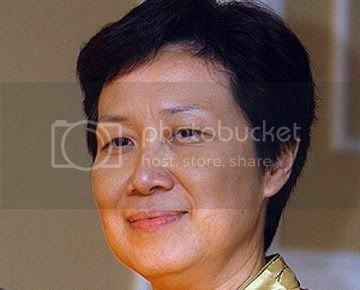 Ms. Ho was the head honcho of Singapore Technologies before she became the CEO of Temasek Holdings. Singapore Technologies under her leadership bought Micropolis in 1996 for $55 million, despite knowing that Micropolis had a history of failures. Approximately one year later, Singapore Technologies had tired of losses generated by the disk-drive manufacturer and ended Micropolis’ operations worldwide; loosing $630 million as a result. The Chairman of Temasek Holdings had defended Ms. Ho’s fiasco in Micropolis by saying that she had the courage to cut the losses. Ms. Ho seems to leave a trail of taking huge risks and making even larger losses, first with Singapore Technologies and now with Temasek Holdings. You need no courage to cut the losses when the funds invested were not yours in the first place. Read also: Temasek, “no regrets for S$6.8 billion loss?